Dual 1080P @30fps Full HD recording: Allow to capture both Front & Rear view high resolution footage. Sony IMX323 CMOS image sensor + 6-layer glass lens: Brings a super sharp image quality, better light transmission, records crystal clear video. Metal housing: Designed with stainless steel housing to disperse heat away from internal circuit. 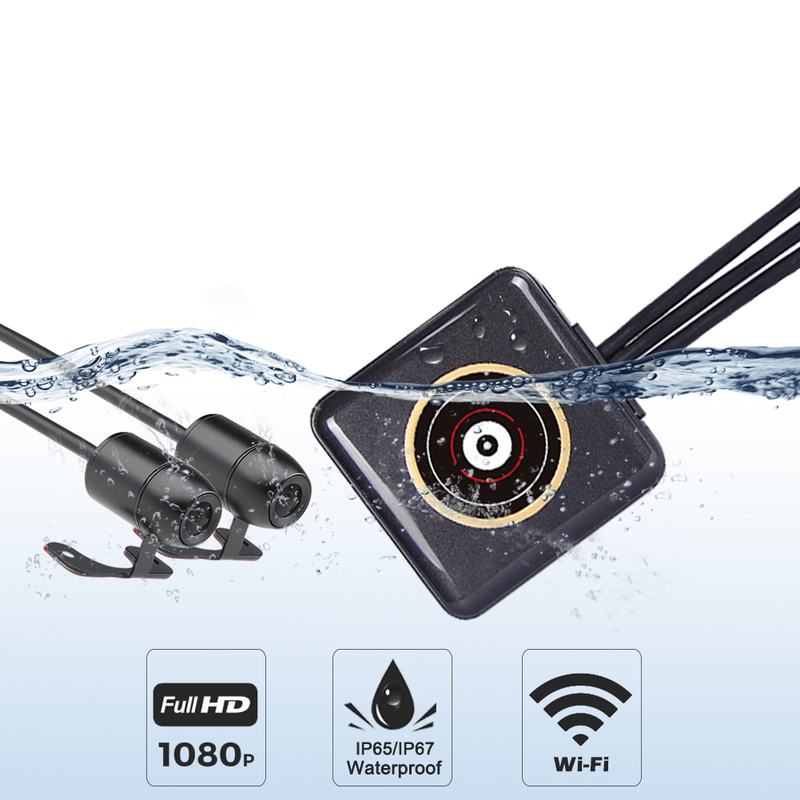 Waterproof Solution: IP65 for main body; IP67 for cameras, cables and accessories. Built-in Wi-Fi with mobile App: Makes it easy to connect to wireless devices. Loop recording: Allows continuously recording by overwriting the files (the record time period can be set to 1/3/5 minutes in the menu). Wired controller: Check system status; lock the recording clips by pressing any button.